Pursue your own ideal of wellness retreats with a choice of programmes. Balance Wellness combines holiday unwinding with healthy movement, cuisine and spa therapies. Start each day of your wellness retreat in Vietnam with riverfront yoga and a raw juice. Work exercise into your sightseeing adventures, or hit the pool or gym. Choose from comprehensive wellness programmes that are then tailored to your needs. Find your balance in a sanctuary of wellness overlooking the river. Recharge with a day of rejuvenation overlooking the river. Practise your asanas. Indulge in a body scrub and massage at Anantara Spa. Savour healthy flavours with Balance Wellness cuisine and a raw juice. Transform your body through indigenous treatments and meditation. Signature therapies encourage natural detoxification. Balance Wellness cuisine cleanses from the inside out. Give yourself more space and time to blossom. Expand your awareness, succumb to relaxation and reap the astonishing benefits. Over three or five days, we tailor an integrated programme that incorporates outdoor activities, spa treatments and wellness cuisine. Rejuvenate the skin with local herbs and spices. Opt for a heated herbal compress to warm muscles and ease stiffness. Renew your youthful beauty with a precious jade facial. A series of body scrubs are available which aid the immune system and restore a youthful glow. Purifying ingredients such as green tea and mineral salts from the sea are applied using gentle strokes to break down fatty deposits and cleanse the pores. 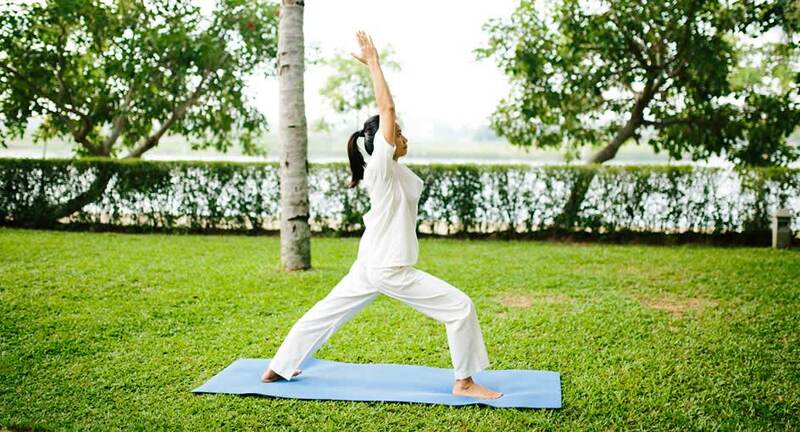 Find your natural flow with complimentary yoga classes each morning. Perfect poise and breath control overlooking the Thu Bon River. Private sessions are also available. Quench your thirst with a revitalising raw juice blended from the finest fresh produce. Each concoction has detoxifying properties, ensuring your body is healthy inside and out. Designed by the chef in consultation with wellness specialists, these healthy gourmet options keep you feeling in peak condition.